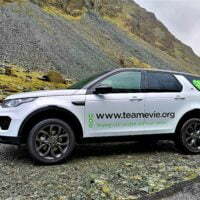 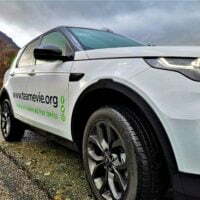 Home › News › New Team Evie-mobile!!! 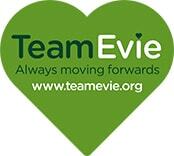 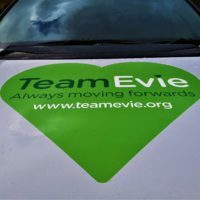 We are proud to introduce the brand new TeamEvie-mobile!! 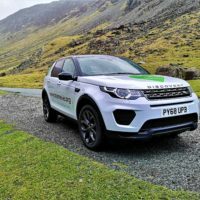 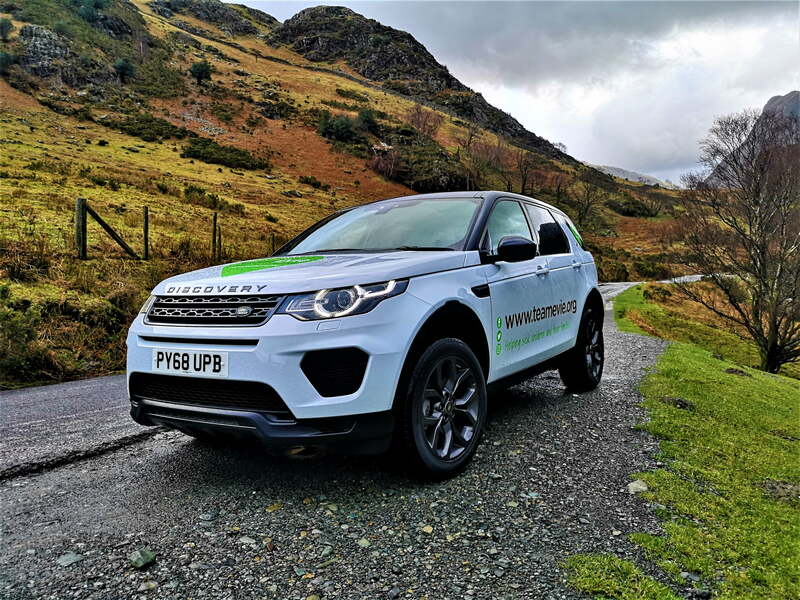 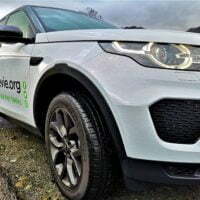 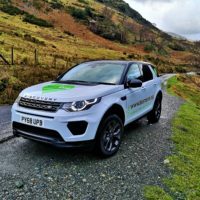 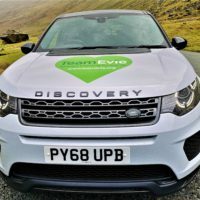 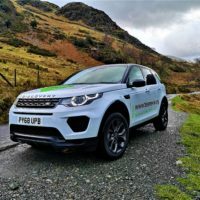 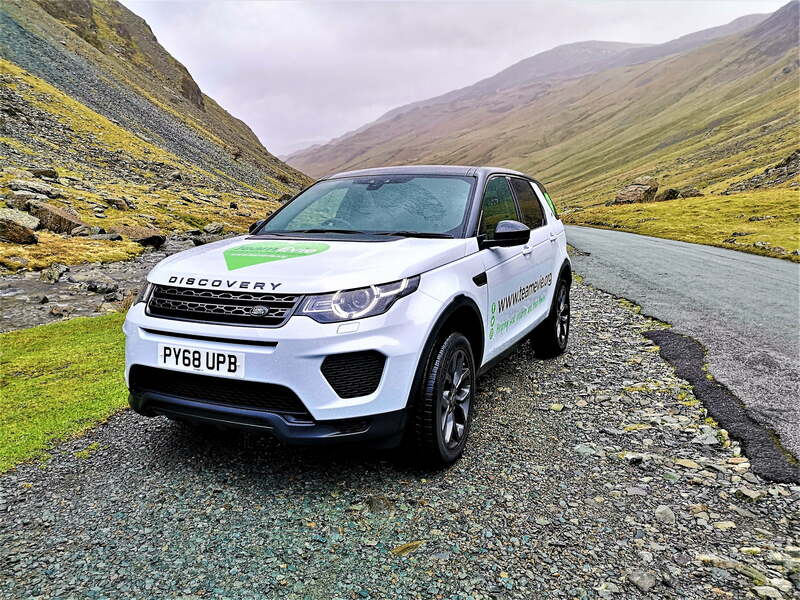 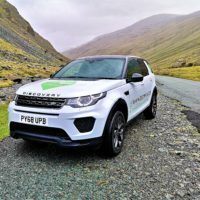 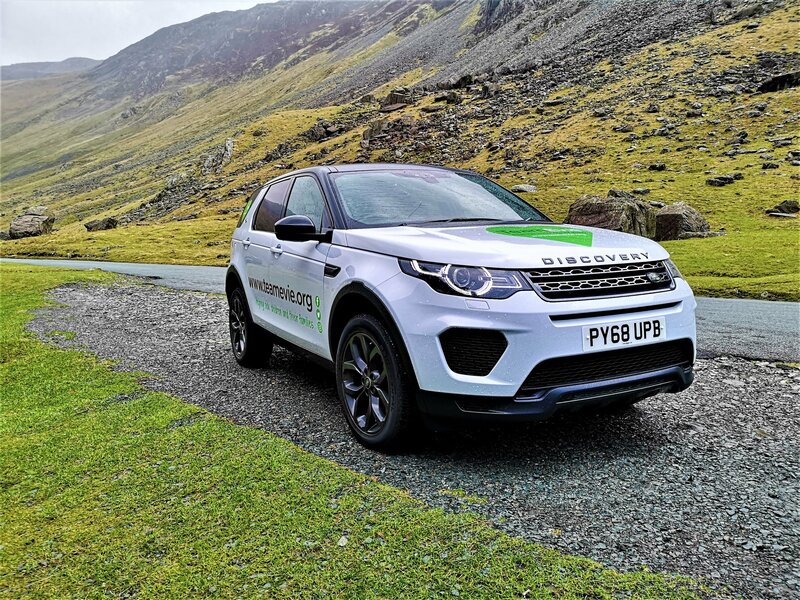 After the old Land Rover sadly developed some serious problems Lloyds Land Rover Carlisle stepped in to save the day are we incredibly grateful for their support!!! 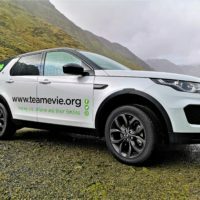 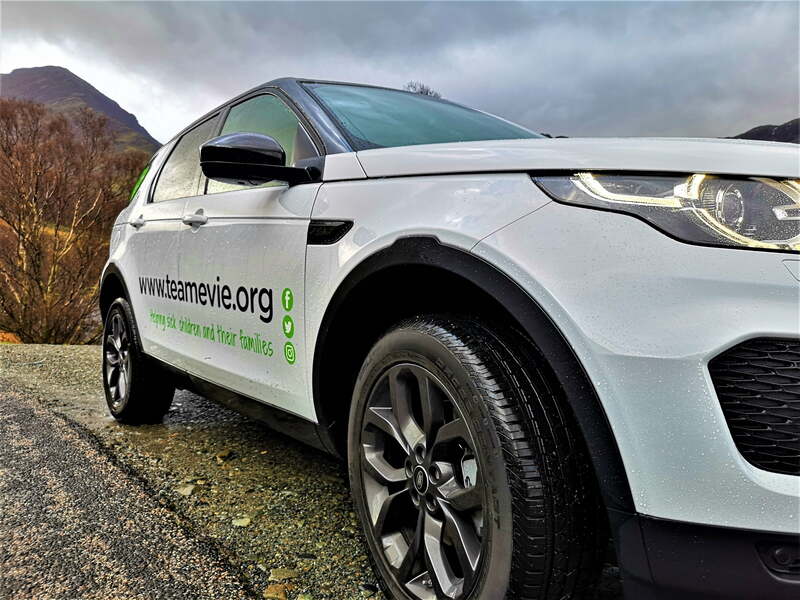 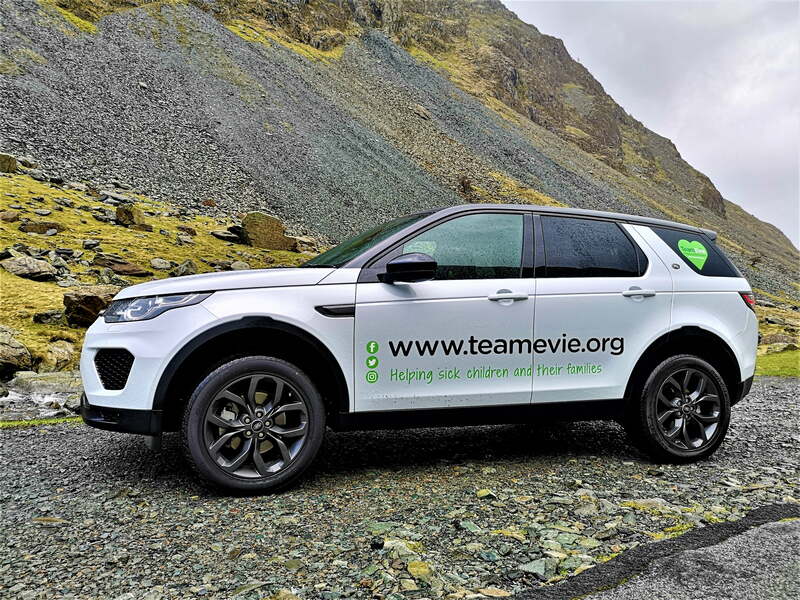 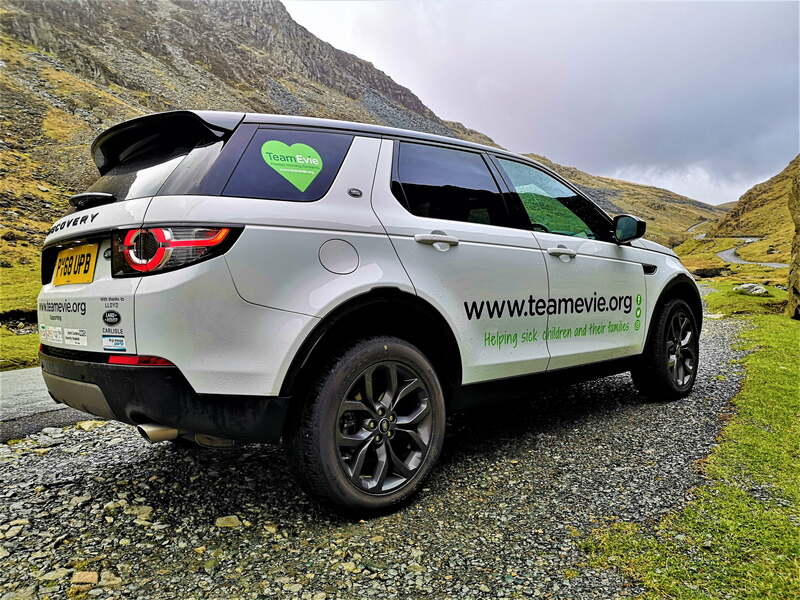 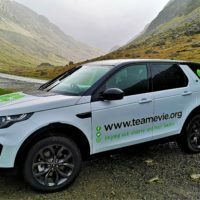 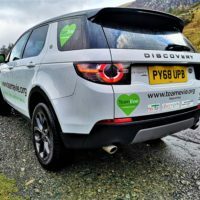 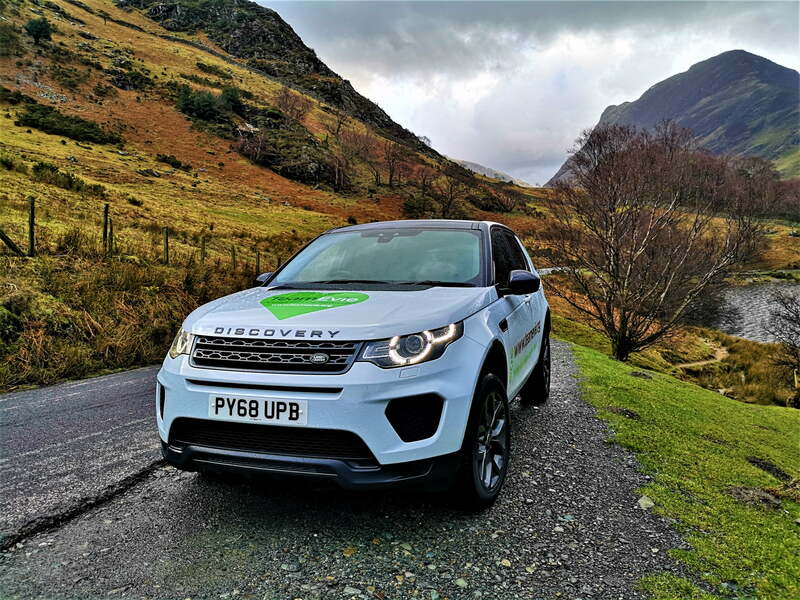 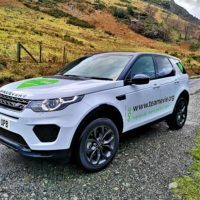 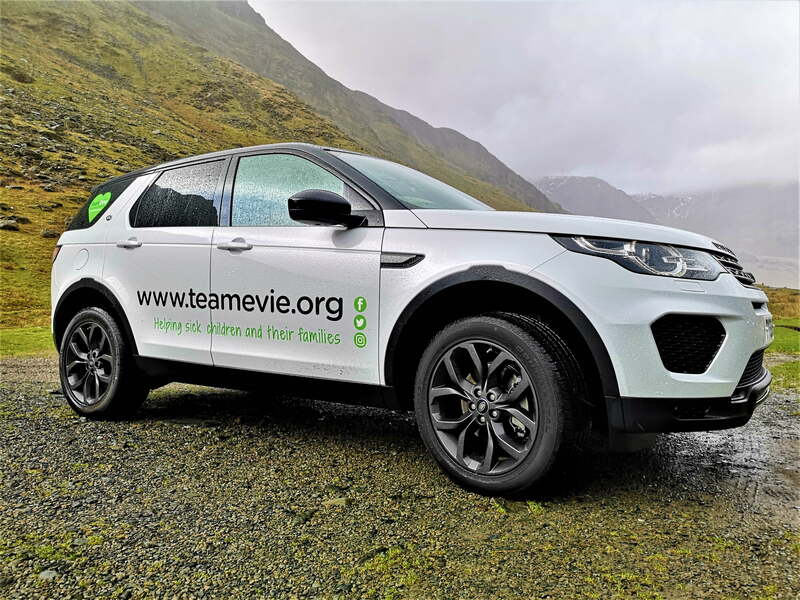 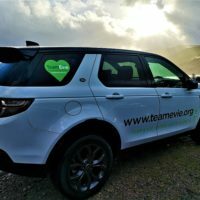 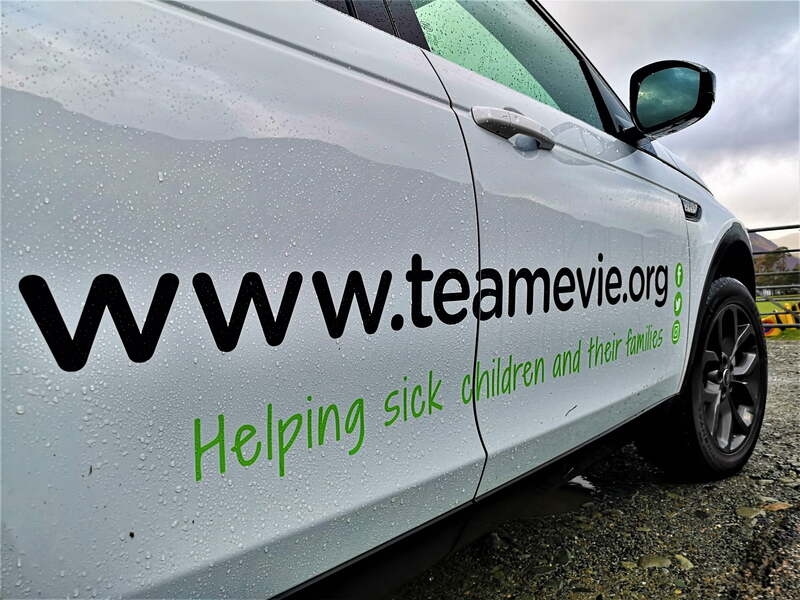 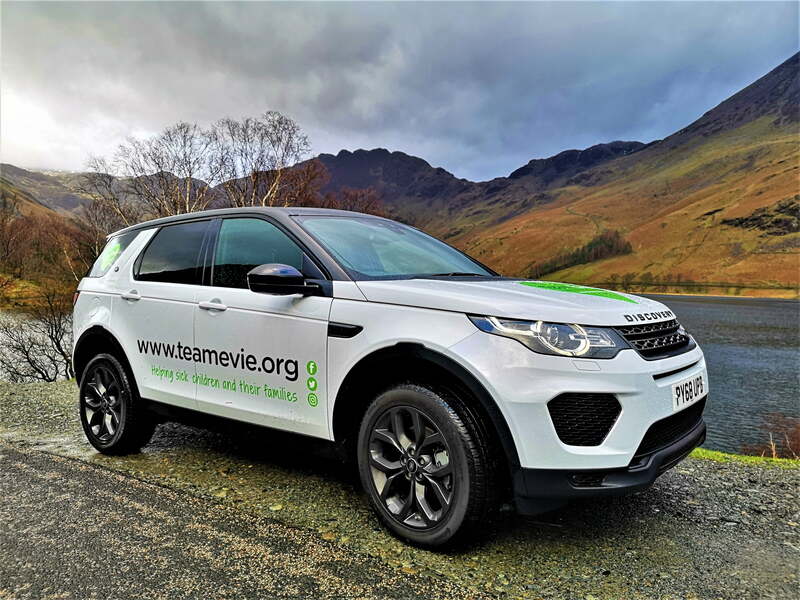 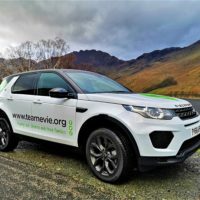 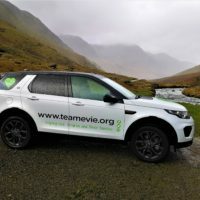 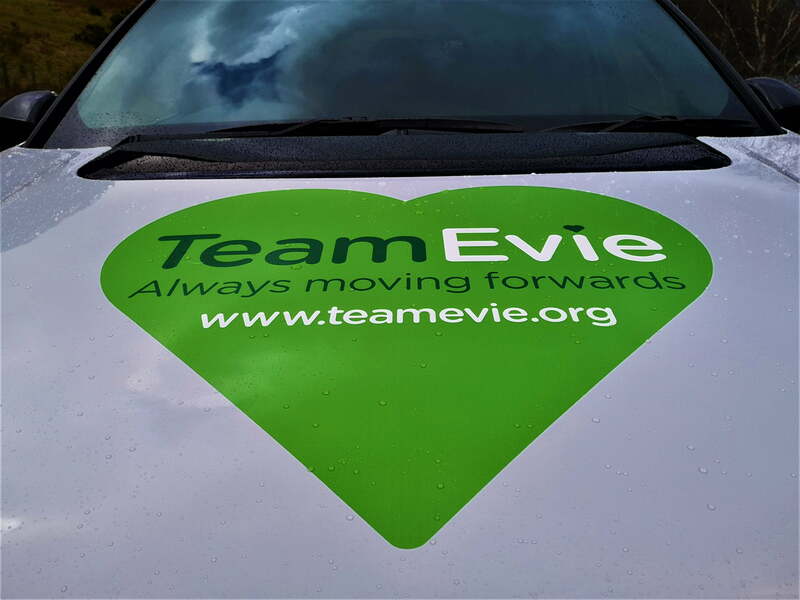 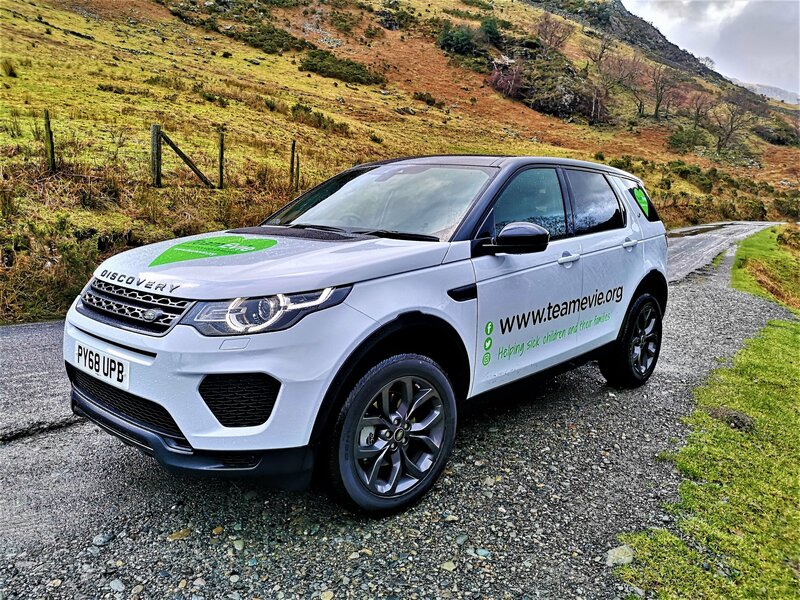 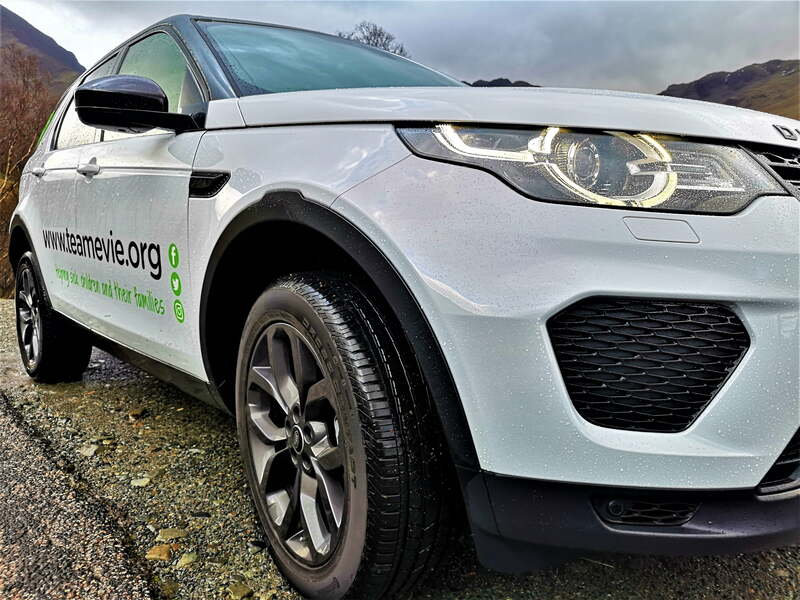 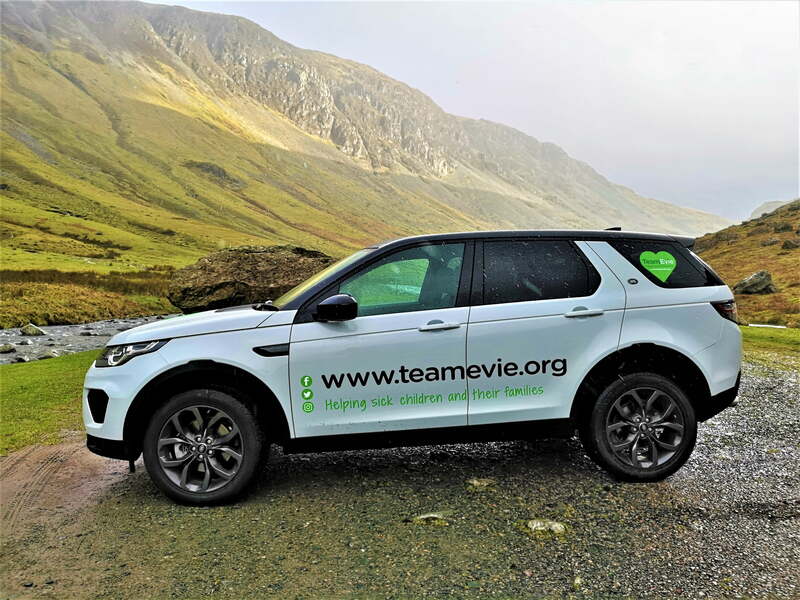 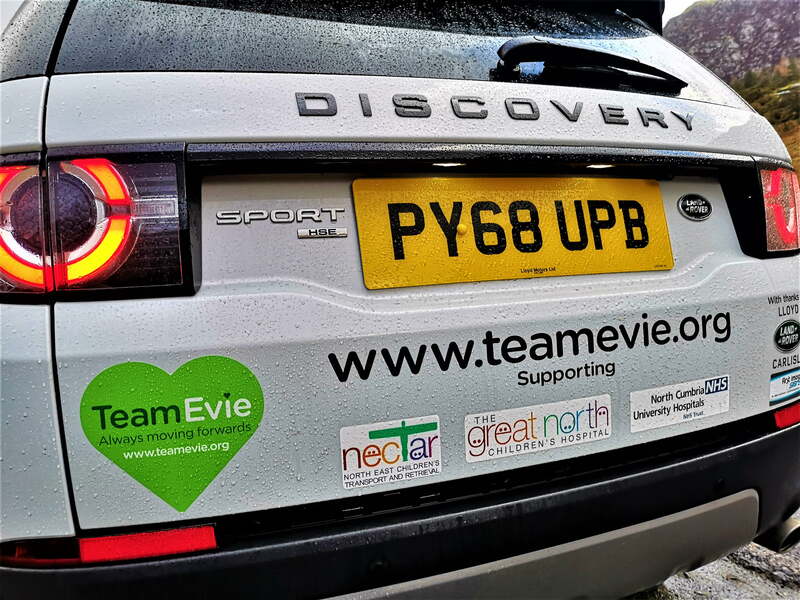 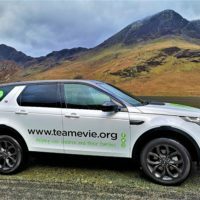 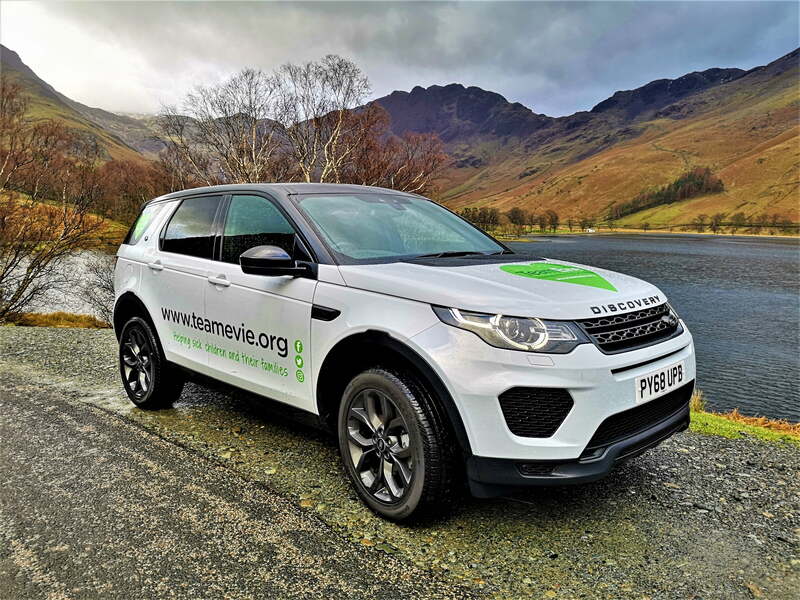 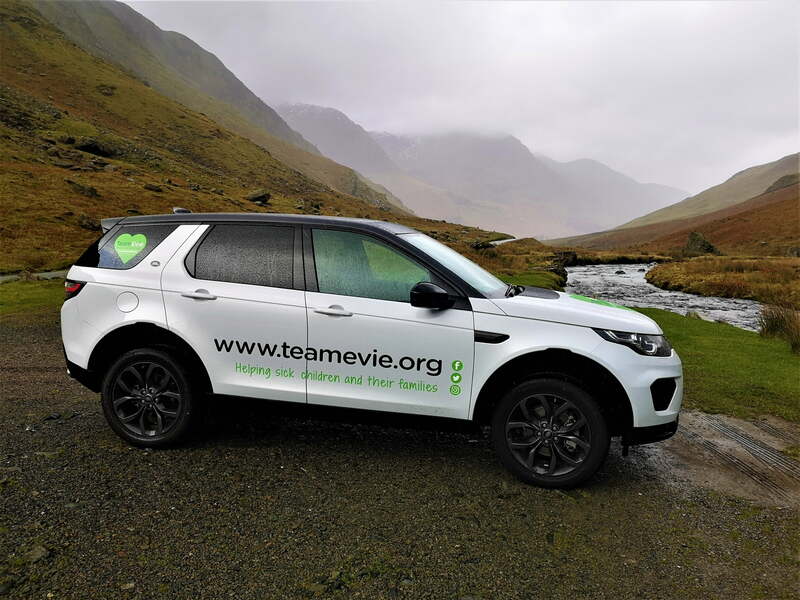 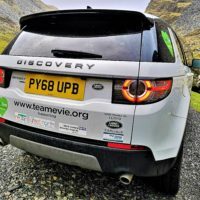 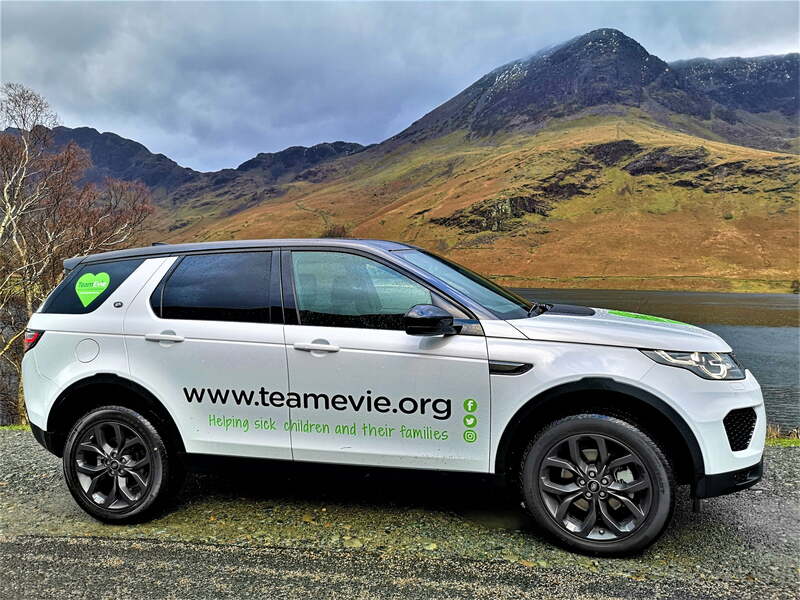 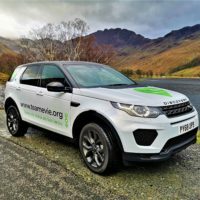 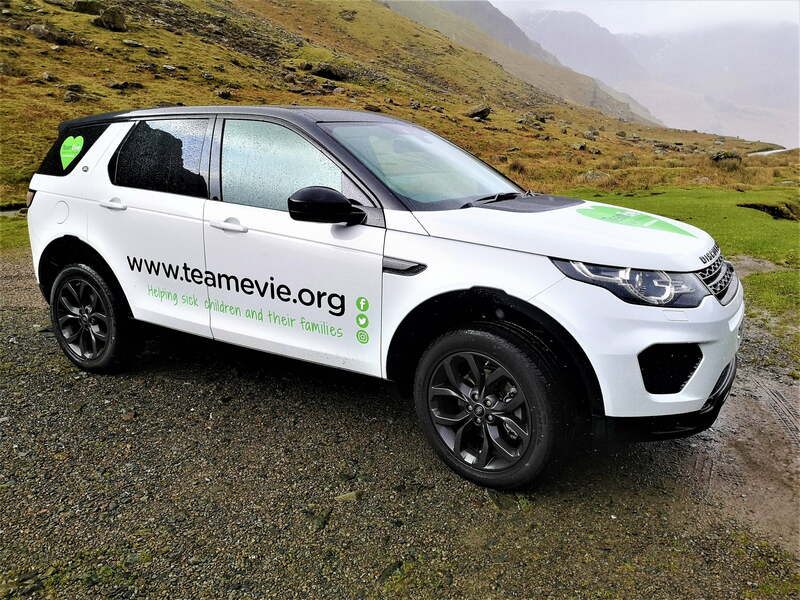 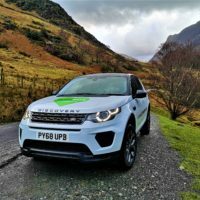 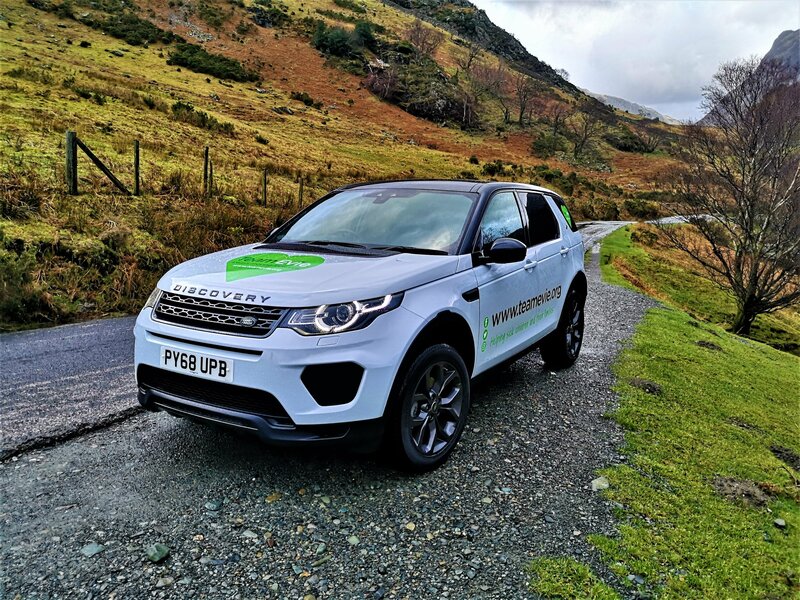 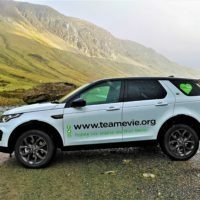 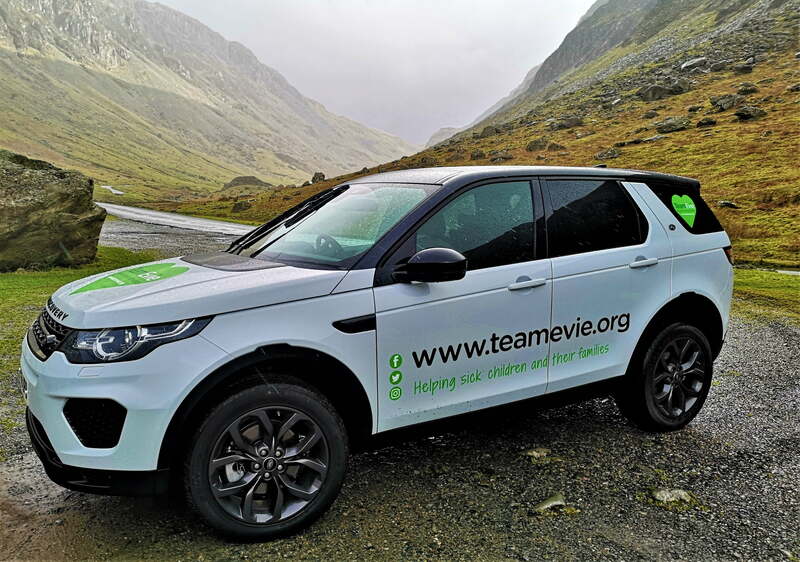 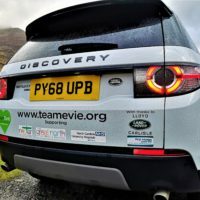 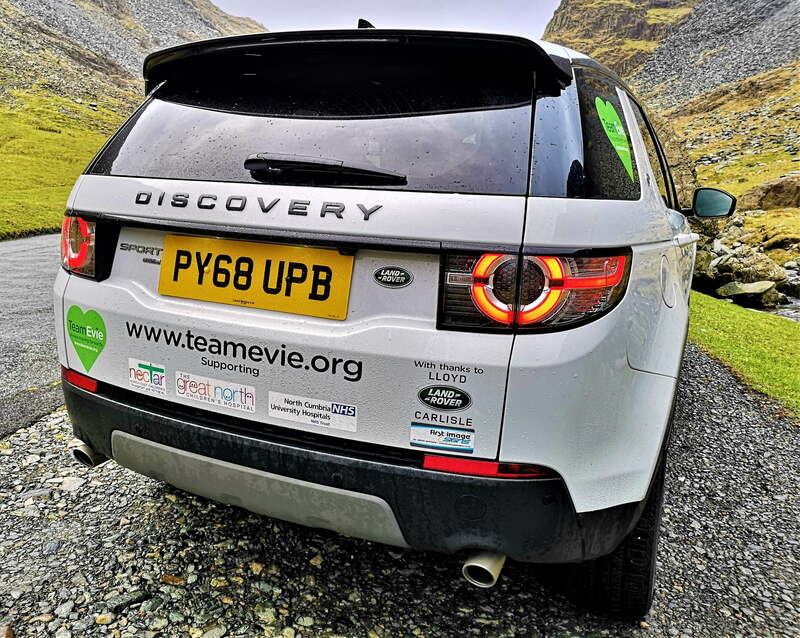 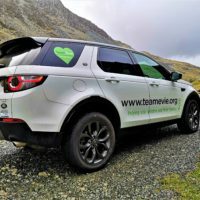 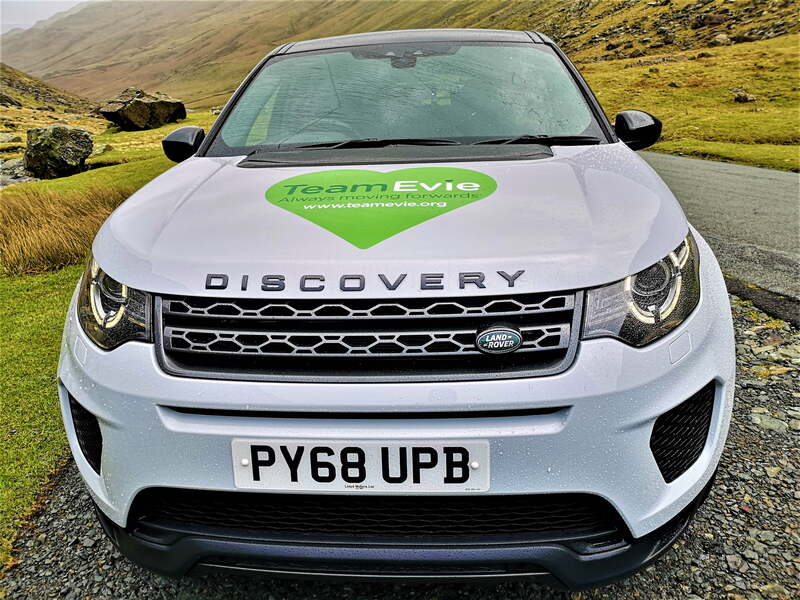 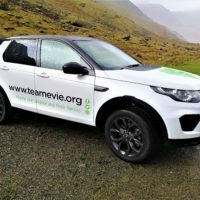 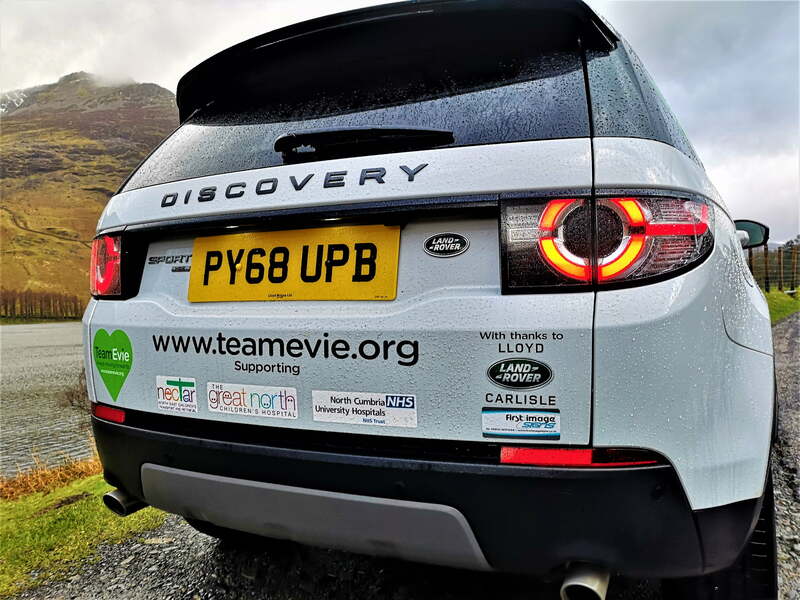 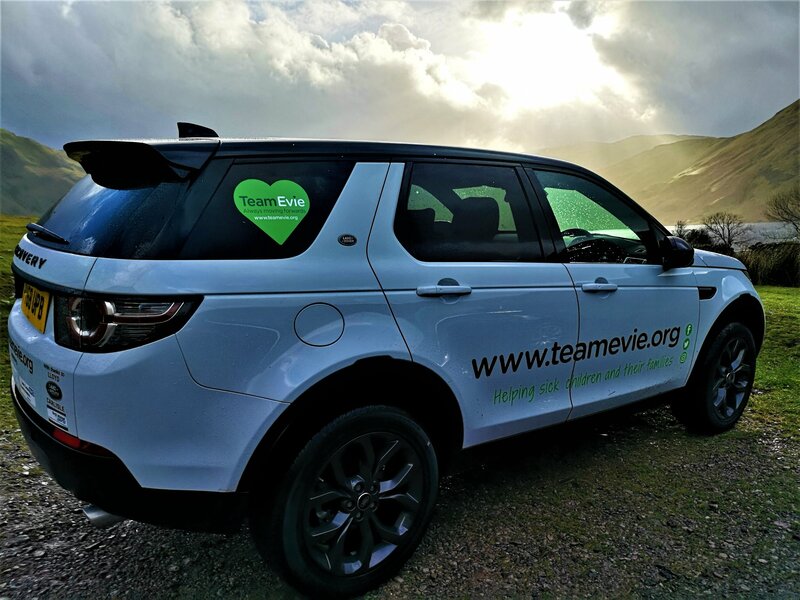 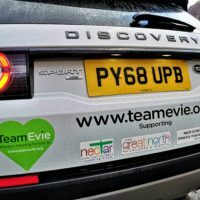 There are not that many occasions where we get time to stop and consider everything we are achieving in Evie’s name…but when we saw this new car stickered up with her green heart it filled us with pride!! 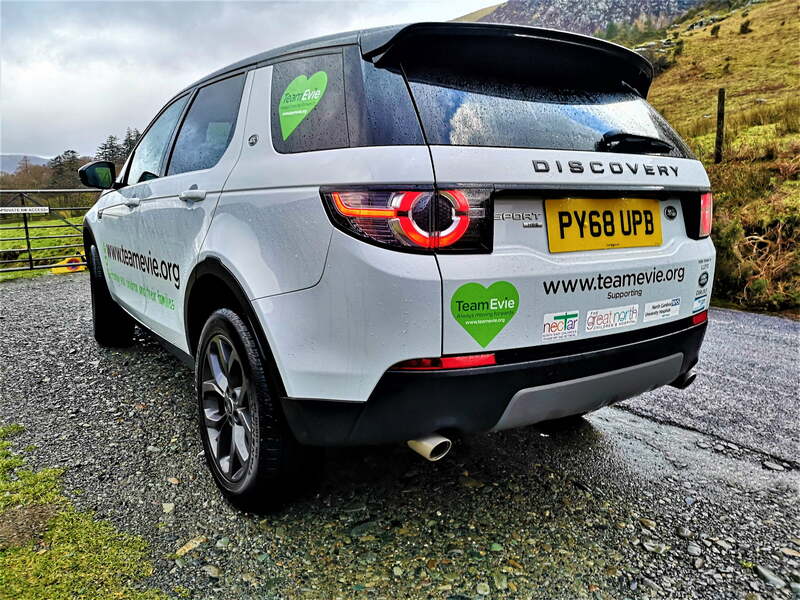 And to top it all off, coming soon we have an incredible competition for you all thanks to Lloyds too!!! 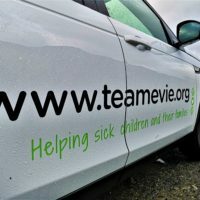 Watch this space for information!